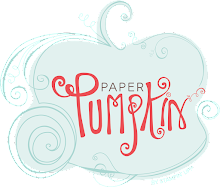 I got in my new Copper embossing powder and I got Silver as well although it is not new. I also received by Large Letter framelits. So of course I had to play with them immediately. And with those colors I naturally thought of my Harley so I brought out my One Wild Ride stamp set and go to work. This first card I used the copper embossing powder and the shield stamp and the Born to Ride stamp. I free hand cut the shield and cut straight up from the sides. 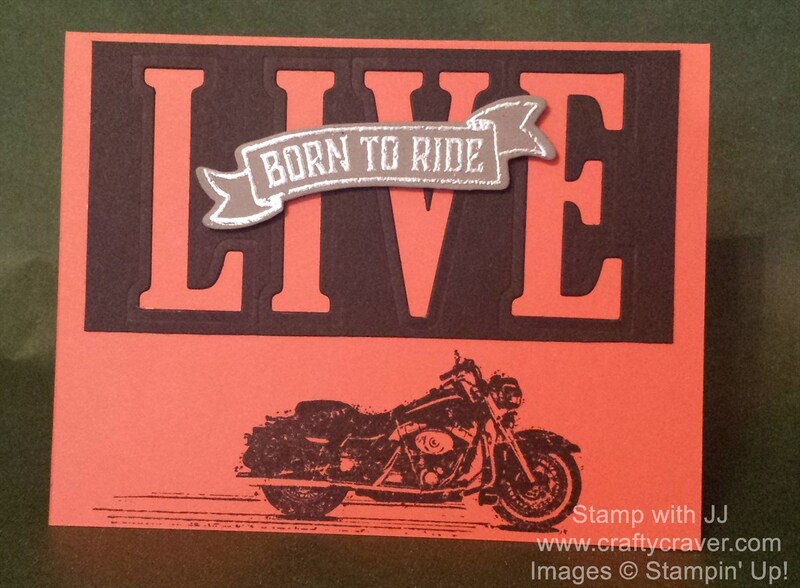 With the Born to Ride stamp I used the Bunch of Banner framelits to cut it out. 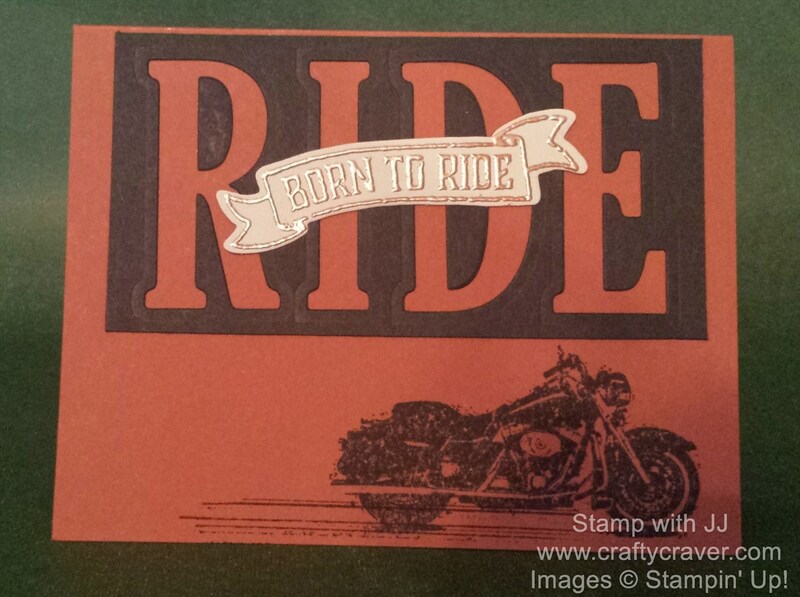 The "road" under the motorcycle is the Gorgeous Grunge stamp and I masked the motorcycle when stamping the "road". Well I loved the look so much, I had to keep going. I knew as soon as I saw the Large Letter stamp set with matching framelits I had to have them and I knew exactly what my first project was going to be and SNAP, here they are below. 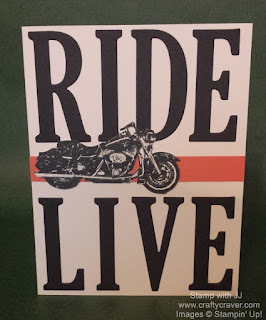 I first used the large letter framelits to cut out the words RIDE and LIVE shown on the middle card. I was careful with the spacing and used the negative of each of those words for the other cards. As most motorcyclist know, these words have great meaning to us. As the saying goes, "We live to ride and we ride to live." This was the inspiration for these cards. I was so excited that I took the time to cut out the intricate motorcycle for this card. I love the look of it but probably won't be doing that very often! 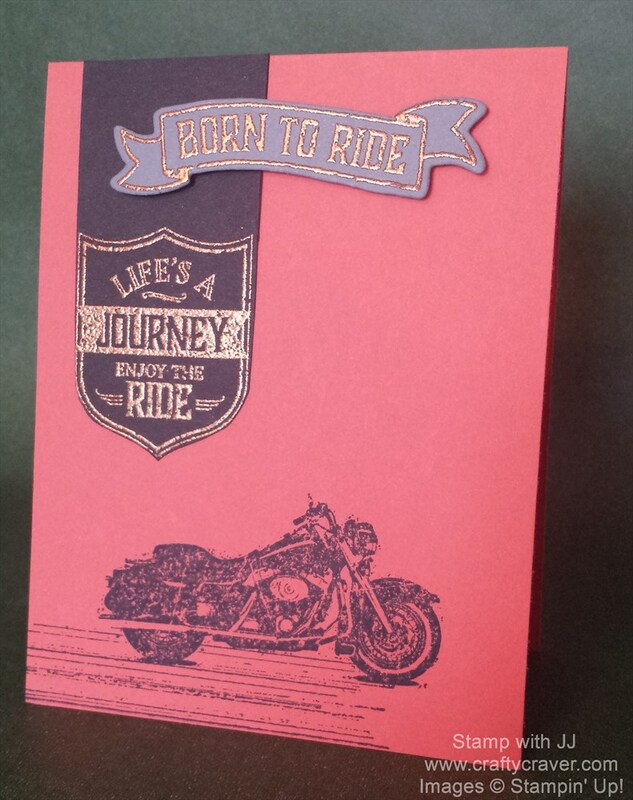 The LIVE card is on Calypso Coral cardstock and the Born to Ride banner is embossed using the Silver embossing powder. 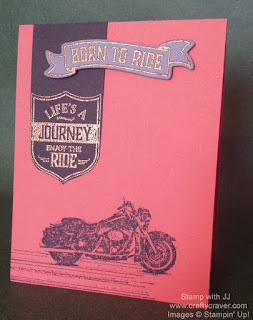 The RIDE card is on Cajun Craze cardstock and the Born to Ride banner is embossed using the new copper embossing powder.